Fit for office work, home computer, gaming, laptop, and all typing and operating mouse activities. Suitable for women, men, girls, boys, teens, kids, elderly, students, teachers, designers, office clerks, secretaries, writers, administrative professionals, etc,. Gift tips: Administrative professionals week, Teacher appreciation week, Mother's day, Father's day, etc,. We love our customer, and if you have any question please feel free to email us, we offer 24/7 worry-free customer service. Thanks a lot! 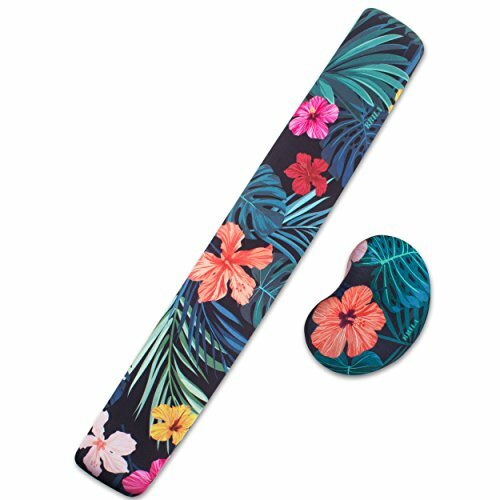 [UNIQUE PATTERN DESIGN]: Summer collection tropical floral leaves design and advanced printing technology, the printed pattern is lifelike and odorless, make your desk beautiful and trendy; It is also an excellent gift choice for coming mother's day, father's day, administrative professionals week, Teacher appreciation week etc,. Color: Summer tropical floral leaves. If you have any questions about this product by Brila, contact us by completing and submitting the form below. If you are looking for a specif part number, please include it with your message.